Post incorporation, every LLP must follow timely compliances of ROC. These compliances and procedural matters ensure smooth functioning of the LLP. Overall, the compliance requirements are least for LLP. however, one must be careful to ensure post incorporation of compliances for LLP to avoid heavy penalties. For this purpose, one may also choose to take professional help. Opening up of bank account: One must open a current bank account to ensure smooth business operations. A PAN card application is sufficient to open a bank account opening process. Sometimes, one may choose to open an account in at least 2 highly networked banks to ensure that in case one bank has any issues, the business remains undisturbed. Also, most of the banks offer special privileges to startups. Filing of LLP agreement: A contract between the partners that gives the details of the rights and responsibilities of the partners is called LLP Agreement. An LLP must file the agreement within 30 days of incorporation. Non-compliance with this agreement would mean a penalty of 100 rupees per say till the form is filed. Depositing of share contribution money into the bank account: This is one of the most important LLP compliance, Depending upon the shareholding capacity of the partners, every partner must deposit the contribution into the bank account within a stipulated period of LLP Incorporation. A partner whose shareholding capacity is worth 20,000 rupees or more may choose between a cheque or internet transfer from personal account to transfer money into the companyâ€™s bank account. An amount less than 20,000 rupees is payable in cash, however, it always advisable to pay through cheque or internet transfers. GST Registration: If the current supply of goods and services is over 20 lakh rupees, it is advisable to go for GST registration. The limit is 10 lakh rupees for North Eastern states. Many indirect taxes such as VAT, CST, Import-Export duty, Excise duty, octroi, luxury tax, and entertainment tax are now replaced by GST. Thus, it becomes mandatory for a business to file GST returns once the business reaches the threshold limits. On the other hand, if the business chooses to supply goods and services to another state, GST will be applicable irrespective of the threshold limit. GST registration is also mandatory for input service distributors and e-commerce operators, who were earlier exempted from taxes. MSME or SSI Registration: MSME plays an important role in employment generation at comparatively low capital cost. It also helps to industrialize rural and backward areas. The registration process allows the MSMEâ€™s to enter into large scale industries and at the same time allows allow new entrepreneurs to enter in this sector. MSME Registration is not a cumbersome process as the documents required for the same are comparatively less. Following the registration process, one is capable of achieving benefits under MSME Development Act. Post registration, MSME is capable of getting easy collateral free bank loans up to 1 crore. 1% exemption on interest rates on bank ODâ€™s is offered. Preference is given to MSME in procuring government tenders with concessions provided in electricity bills and tax rebates. Further, protection is provided to MSME against the delay in payments from buyers. Trademark Registration: In order to protect brand or slogans that are unique to an entity or a person, Trademark Registration is important. It is used to indicate the fact that a brand or a logo that can be used to distinguish oneâ€™s product and services from those provided by others in the market. Thereby helping to develop credibility and build a good image of the business entity. Post registration, the Â®symbol is used signifies that the trademark is registered. Customers give more preference to brands with this tag. The protection provided by the trademark registration forbids other people from using the same. Trademark can be rented in return for the royalty. Accounting processes: it is important to follow account processes right from the beginning. This includes; getting an invoice, bookkeeping, and cash flow management. Here, an automated cash flow or account management systems that can be done on computers or laptops will help save time and money. Income tax returns: Income tax return is a statement that is generated to define various sources of income, tax liability, details of tax paid, any refunds that one has to give to the government. 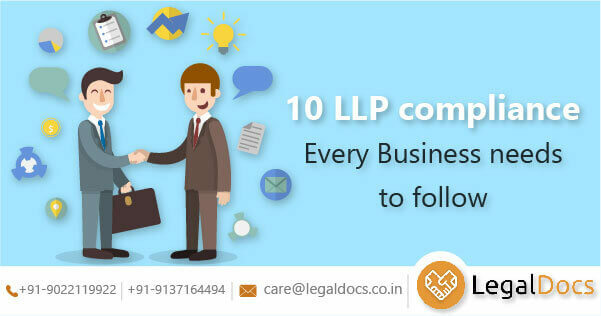 It is mandatory for all the partners to file a return even if LLP does not make any income during the year. This is done annually. This is important LLP compliance because non-compliance with income tax returns would attract interests, penalties, prosecution, and scrutiny from the Income Tax Department. ROC filing of annual return: The details of management, financial performance, and governance of LLP is given to ROC. 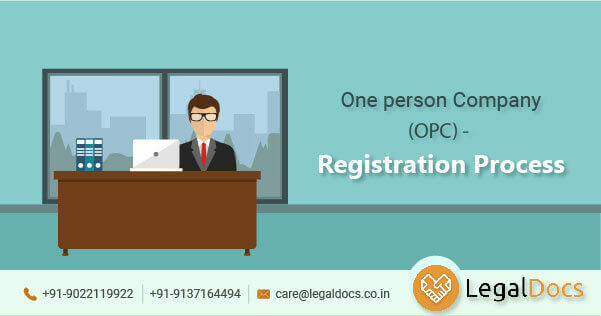 It is under the jurisdiction of ROC that the registered LLPâ€™s office is located. This is done annually 30th of May. The financials including the balance sheets, profit, and loss account are filed by 30th of October. The non-compliance penalty for delay in filing is 100 rupees per day. The designated partners in default are punishable with a fine of 10,000 rupees to 1,00,000 rupees. Recently, Ministry of Corporate Affairs has stricken off more than 1 lakh companies from its records for non-filing of annual returns. LLP Stationary: LLP stationary includes, LLP seal and letterhead. LLP seal would be required also at the time of opening of bank account and for applying PAN. Therefore, two rubber seals that are round type with LLP name and the designation has to be purchased on the Incorporation of LLP. 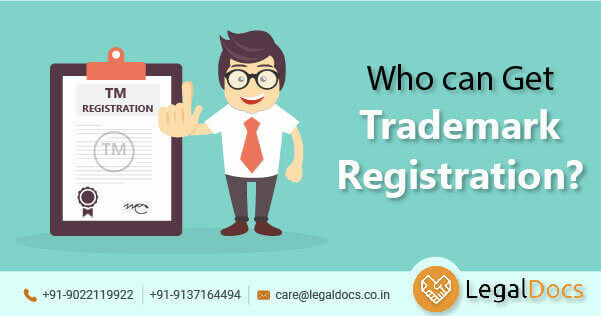 Other stationery items like letterhead, invoice, official documents have to be prepared with the name and registered office address of the LLP. In case of bookkeeping has to be done on cash or accrual basis, books of accounts in the form of a register have to maintain. It will be kept at the registered office address. Alternatively, it can be maintained electronically through accounting software. Are you looking for LLP Incorporation in India?